NASA launched its fastest spacecraft in entire history of space exploration, toward the famous dwarf planet Pluto in January 2006. Now this fastest spacecraft — called New Horizons — is accelerating toward its target and is programmed to make its nearby approach to Pluto on July 14. 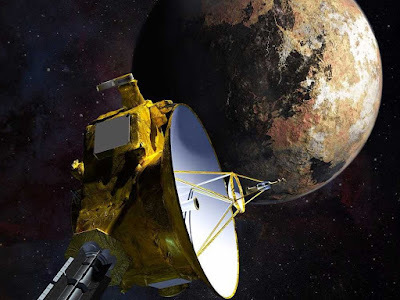 No doubt, July 14 will be an epic day, New Horizons will use its innovative range of instruments on board to take images of the distant icy world in extraordinary detail — hundreds of times purer and thousands of times closer than the Hubble Space Telescope could ever hope to accomplish. Researchers on the New Horizons team have been patiently waiting for this specific moment for almost a decade, and now their time is fast approaching. Here are 10 infographics by NASA that will let you learn everything researchers know so far about icy Pluto.